Practitioners who are capable -- or compassionate? You need both! The challenge: find an effective health care professional who is also personable. Let's say no one you know has a referral for you. You can find a national directory online, but then what? How do you find the best fit for you? The holistic approach of alternative medicine takes the whole person into account--spiritual, mental, emotional as well as physical. This caregiver is a special person, with a special role in your life. Ask Yourself First: What are my Priorities? as you consider the following four capabilities as to their importance to you, and to your health. Pros and Cons in choosing a chiropractor. Kelly Andrews, DC, and Psychiatrist Stephen Barrett weigh in on this subject; read the advice from both sides of the table on this page dedicated to finding an effective and reliable chiropractor. Click photo link at right. Feel free to ask many questions. This is a professional to whom you'll be entrusting your health care; it's important that you feel comfortable. Also, don't be shy! The practitioner understands the newness factor. Even though 60% of Americans are utilizing some form of complementary or alternative medicine, there is still an aura of newness, perhaps even fear of the unknown. What happens during the initial visit? follow-up visits? How often might you be expected to return for therapy? One of my favorite questions is, "What brought you to practice in this field?" This reveals quite a bit of their individual philosophy, and I can usually tell if we'll be compatible. It's not only a fun question, and a positive one, but also powerful in what it uncovers. I also look at the wall decor and books on shelves. These are full of clues as to what's important to this particular practitioner. 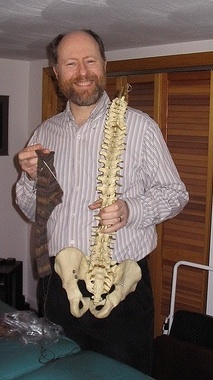 To watch an interview of a chiropractic assistant, click here. ...but it will be worth it! Time invested up front will pay great dividends in the quality of care you receive in the end. Remember, compatible and competent! Search and you shall find. I've begun the process just a wee bit for you. You may continue reading, or head on over to the page specifically on chiropractic medicine. Return from Practitioners to Healthy Alternative Solutions home page.